There are tons of panels available on the market, but many of them are dedicated to specific photography genres. 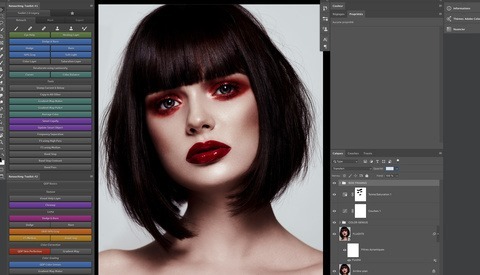 For example, the Beauty Retouch panel is fantastic for portrait and beauty photographers but lacks options for a landscape or architecture image editing workflow. 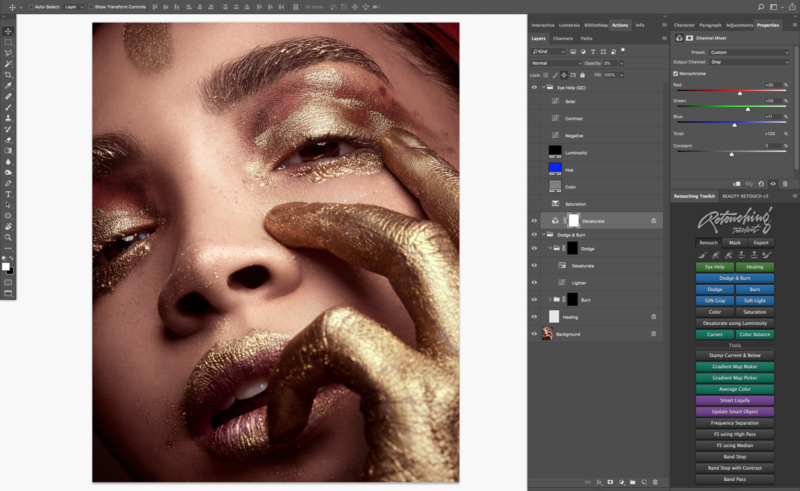 The panel reviewed for you in this article, the Retouching Toolkit, is without a doubt one of the most versatile on the market. The interface is divided into three tabs, each dedicated to one specific part of an image editing workflow. First, you’ll find the Retouch tab, then the Mask tab, and finally the Export one. It makes it easy to find the features you need for the task at hand. 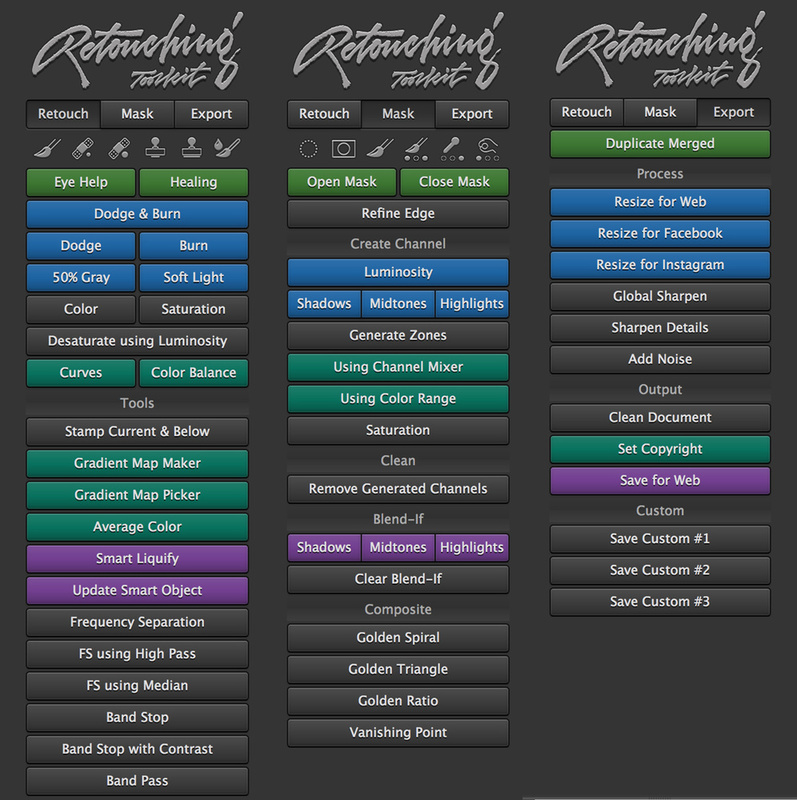 Some of the most essential and used features are colored, so they are easier to see, in turn making your workflow faster. Each tab is well designed with features being grouped according to what they do. For example, the frequency separation is right next to the band stop and bandpass, while the dodging and burning buttons are close the visual aid layer action. Each feature relies on actions to either create the needed layers or call a script. The speed at which Photoshop reacts is fantastic and leads me to believe the scripts are exceptionally well designed and optimized. You won’t have to wait for more than a second or two even for the most demanding features. I’ve been using the Retouching Toolkit for a while now, and I’m hard-pressed to find features I’m lacking. 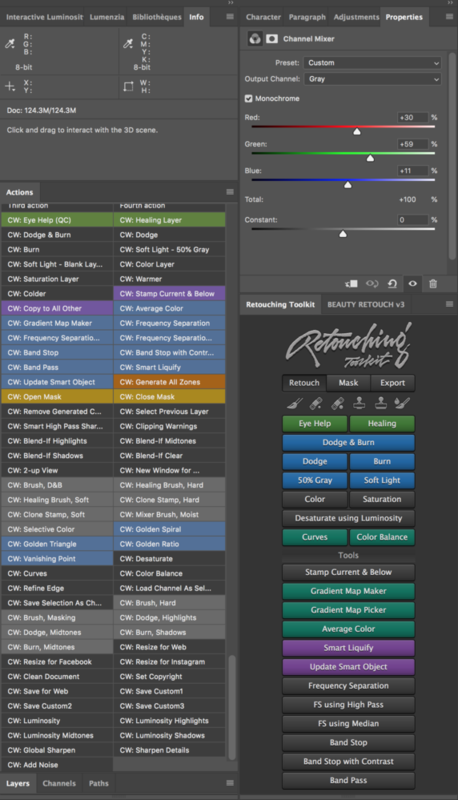 The Retouch tab gives access to everything used in a typical retouching workflow: healing layer creation, dodge and burn layers, visual aid layers, frequency separation in its different versions, band stop, bandpass, color and saturation correction, smart liquify, a gradient map maker, and more! What’s even better is that some of these techniques have been slightly tweaked to make your life better and easier. For example, try the healing layer creation action. You may think it’s going to create a simple blank layer. And you’re right to think so, but it actually locks it against movement, so you avoid the common mistake of moving it around because of the touch feature of your Wacom tablet. Another fantastic example is the frequency separation which can be used to create multiple separations – more on that in the recent Wallstrom’s video about frequency separation. In the second tab, most masking features needed to edit any image can be found. It works very well and probably offers more than enough options for 90% of the photographers out there. However, the luminosity mask features don’t go as far as what other panels dedicated to luminosity masking can do. I personally rely on Lumenzia and thus this second tab is only very rarely used on my computer. But if you don’t feel like you are going to create advanced luminosity masks any time soon, or perhaps you don’t want to invest in multiple panels, then the Retouching Toolkit will do the job just fine. Last but not least, the Export tab is the solution to anyone wondering what to do before saving their files for specific uses. For example, the panel can resize your picture for Instagram, Facebook, or web use without you having to do anything but click the proper button. Too much banding? Then, there’s a feature to add a bit of noise. You can also duplicate merge your file so that you have a clean final version to send to your client or to add sharpening. How Has It Affected My Workflow? Even though I know how to achieve the same result without using the Retouching Toolkit, it’s much more convenient to click a button and let the panel do the work. Who wants to remember what settings to use for a frequency separation when doing the apply image thing? Or why would you want to lose time trying to figure out what keyboard shortcuts to use to change a luminosity mask while using channels? Perhaps some people do, but I’m sure it’s not a majority. The Retouching Toolkit makes my workflow a lot more efficient by removing the annoying basic and repetitive parts of my retouching process. It also takes out part of the human error I could induce in my editing - I’m sure most of us have lost time at least a couple of times wondering why the healing layer had moved, or what’s wrong with the settings we just used for frequency separation, etc. What the Retouching Toolkit won’t do though is editing on its own. While it can act as a memory cheat sheet and speed up the creation of layers, visual aids, or some other repetitive tasks, it won’t make my model skin look less blotchy, or blend multiple exposures of my architectural scene. So if you are in the market for a way to cut your editing time in half, outsourcing is probably a better option. On the other hand, if you want a solution to consolidate your workflow and have quick and easy access to the tools you genuinely need to edit your pictures, look no further. Another important note is that all the scripts used under the hood are called through an action. Meaning you can add a keyboard shortcut to any of the panel’s features, including some that are available only in the action group and not on the panel – i.e., the two window up view. It is probably one of the best features of this panel! Most panels out there try to hide their scripts and actions as far away as possible, removing any possibility of adding keyboard shortcuts, but it’s not the case with the Retouching Toolkit. On the left, all the actions available when you install the Retouching Toolkit, and on the right the panel. 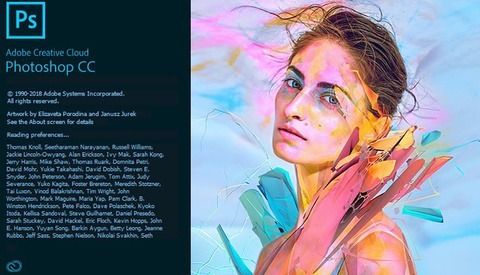 The Retouching Toolkit is available for $69.95. If you are not sure if it’s worth it and want to see a preview before using it, be sure to check out the website Raw.Exchange before. It offers a comprehensive list of tutorials in English, available for free, showcasing what’s possible with each feature and how it works. When using the Curves and Color Balance scripts, the layers created are set to 10% opacity which will require further tweaking most of the time. 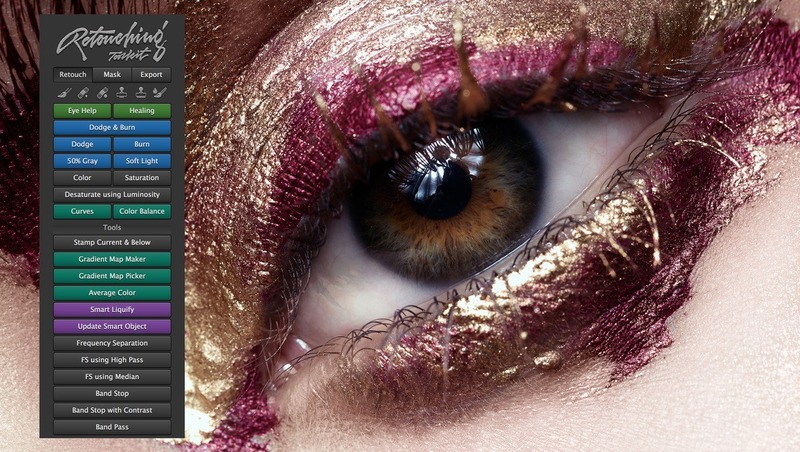 But it’s my way of working, and perhaps the majority of retouchers will enjoy how it works. The luminosity masking features are not as advanced as some dedicated panels out there, but still plenty good enough for most photographers. It would be great if the panel included presets for color grading or another feature to make color edition more friendly than what Photoshop offers. Some actions/scripts are only accessible through the Photoshop actions panel for some reason, and not directly from the Retouching Toolkit Panel. If I had to keep only one plugin or panel for Photoshop at this time, it would probably be the Retouching Toolkit. It’s the one I use the most, and I could probably hide most of my Photoshop interface while using it in conjunction with well-set keyboard shortcuts. As previously said, it doesn’t retouch images magically, but it can make any photo editing workflow more consistent and efficient. It’s definitely worth the small investment considering you’ll be using it for years to come and probably numerous hours per week. I´ve been using the Beauty Retouching Panel for almost a month now. Some panels definitely come in handy and improve your workflow. I have the actions working in this toolkit but I can't find or how to open the panel itself ?